Together We Served's mission is to provide the opportunity for every family member to sit down with their Veteran and record their military service and memories, in their own words and photographs, so that their story may live on for their children, grandchildren, and future generations. Work with your Veteran to enter as much information as possible into the Help Guide. Mark all the medal ribbons, insignia and badges awarded. Scan discharge certificate and service photos to upload to their service page photo albums. Once their written Reflections is completed, your Veteran is well prepared to recount their military memories in a video record if you choose to do so. Using the Reflections interview questions to guide the session, record your Veteran remembering their service using any recording device - smartphone, tablet or video camera. 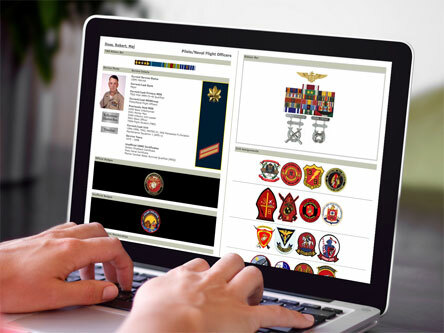 You can now upload your video to their Together We Served military service page for the most complete, most shareable, record of your Veteran's military history available.